The KSA Western Cape held their third affilaite product evening on 29 March hosted by Franke Kitchen Systems, Eclipse Furniture Fittings and Panda Bamboo. The evening was attended by over 124 members of the kitchen industry and offered a unique opportunity for the industry to network and for the three hosts to present their company and products. The KSA would like to thank the three hosts for all their effort and all those who attended the evening for helping to make it such a success. 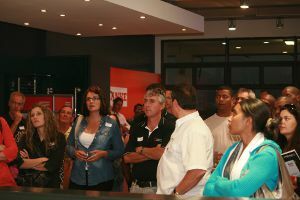 Look out for the next KSA Western Cape affiliate evening which will be held in June 2011.